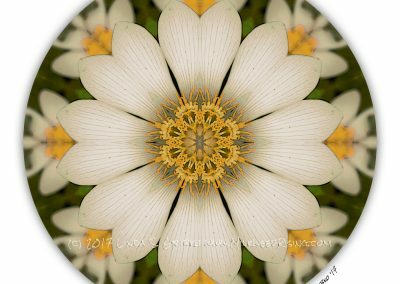 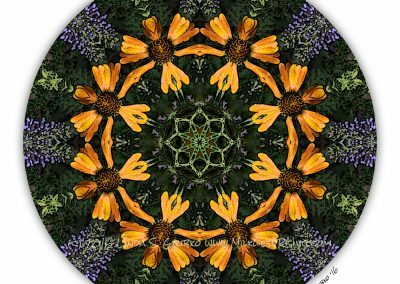 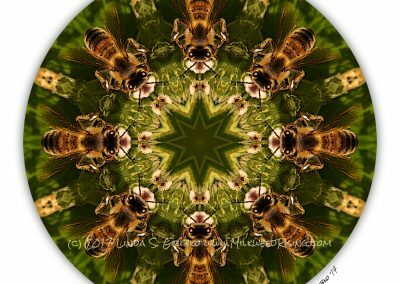 All of my mandalas begin as a photo of a natural subject—you’ll find flowers, gardens, birds, butterflies, bees, and trees in the collection. 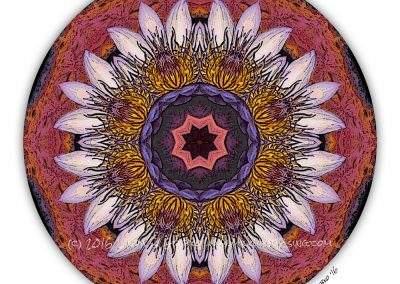 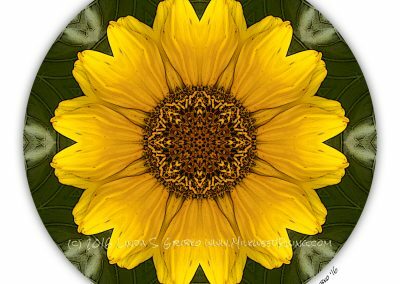 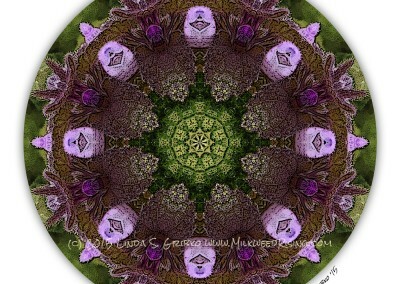 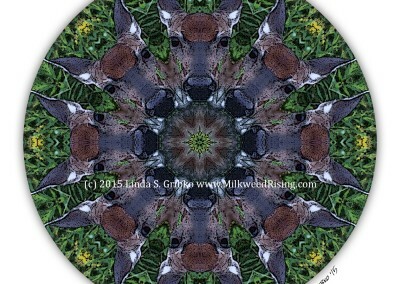 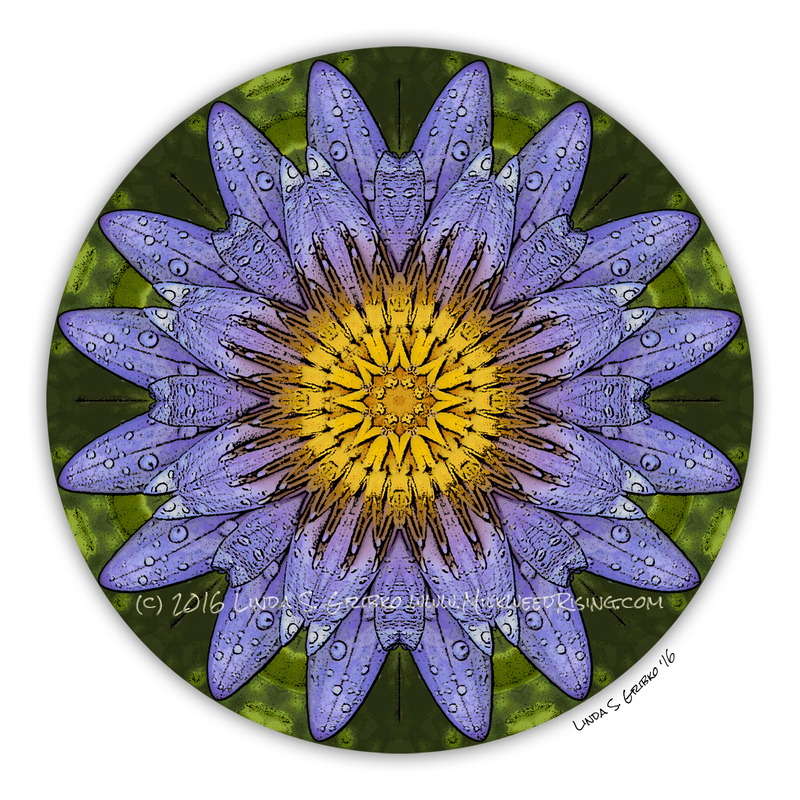 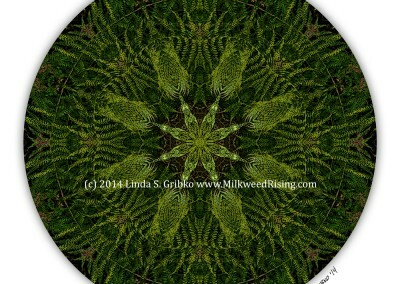 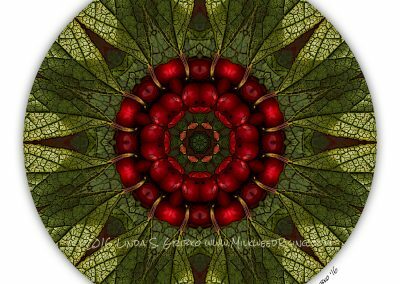 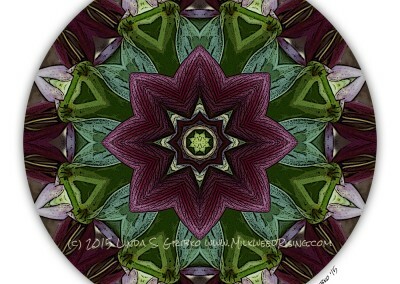 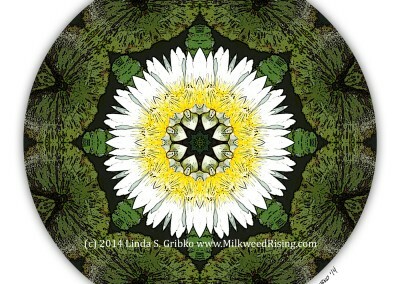 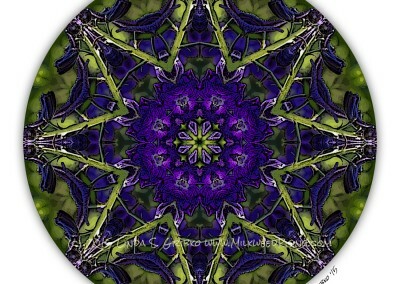 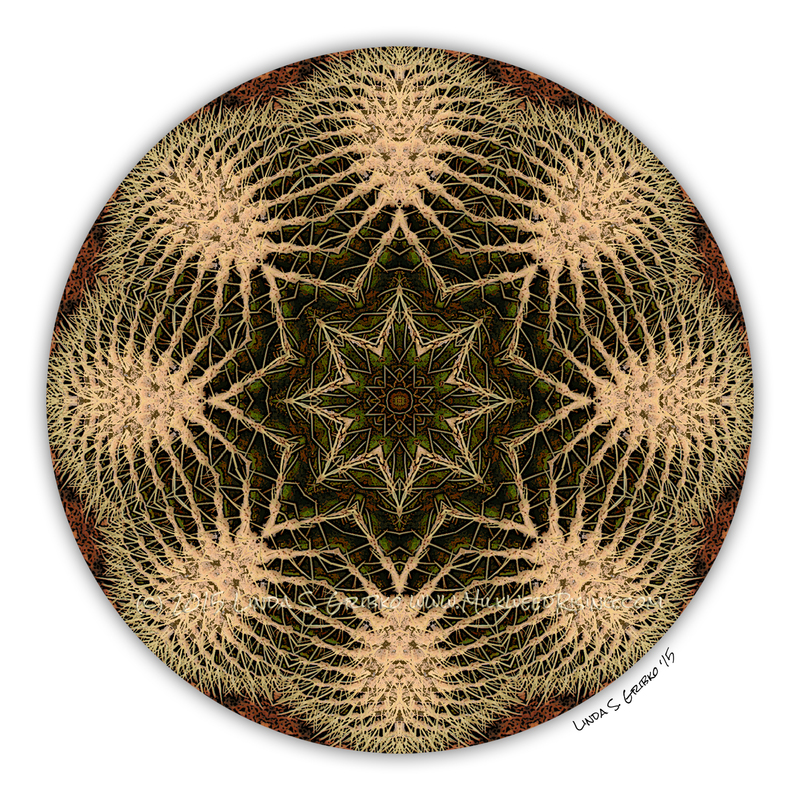 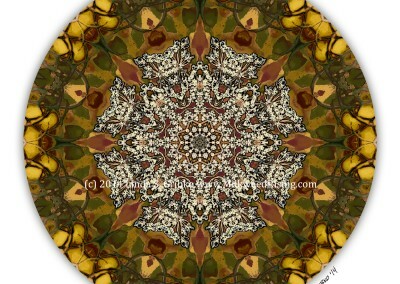 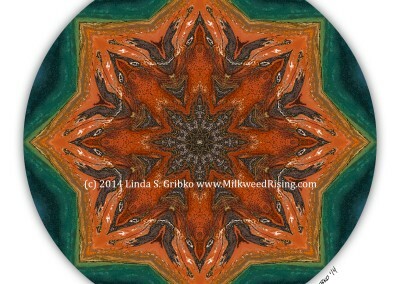 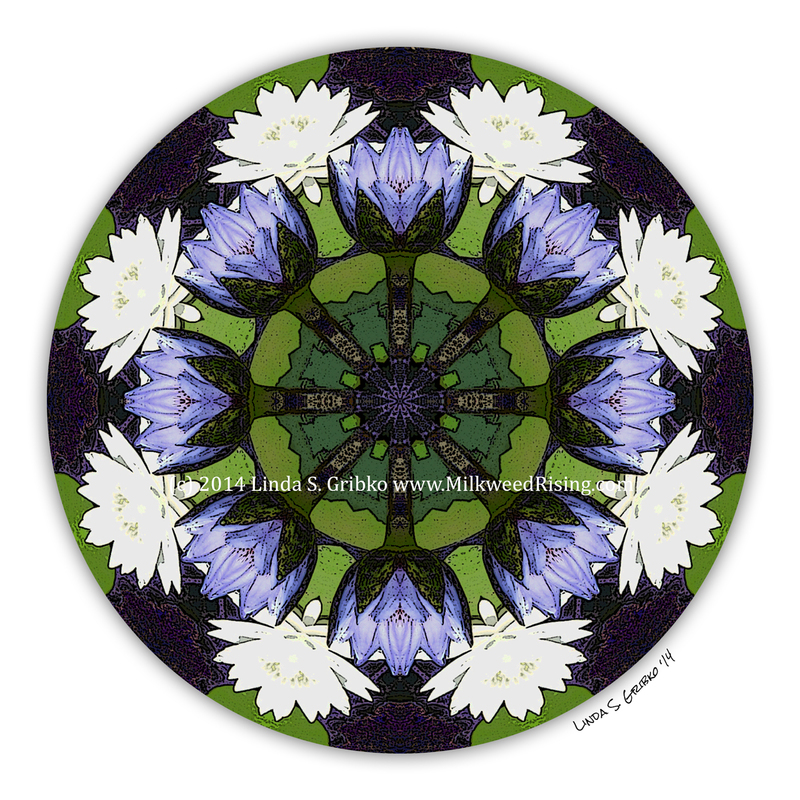 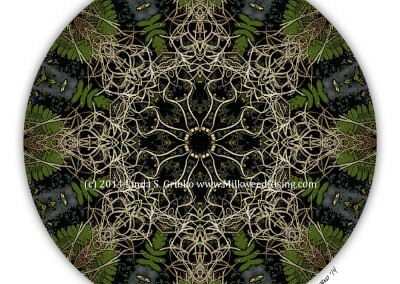 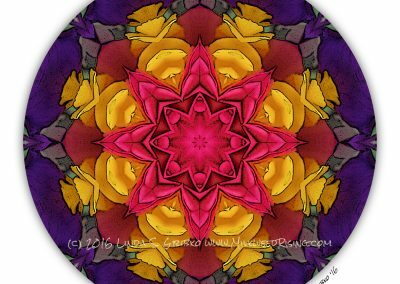 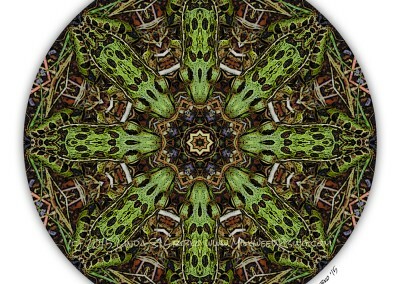 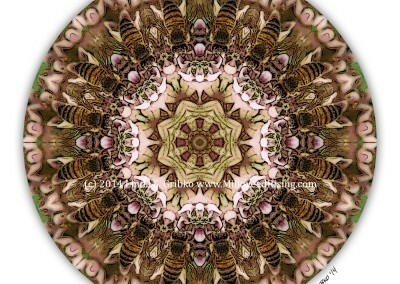 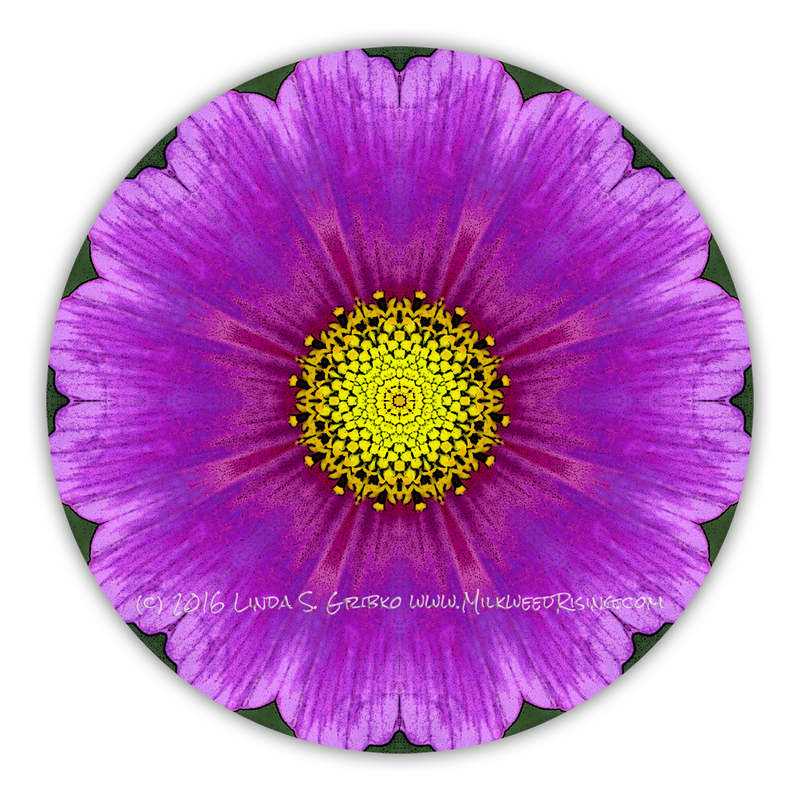 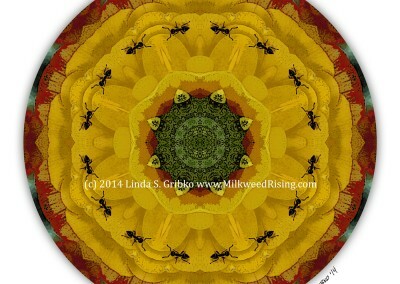 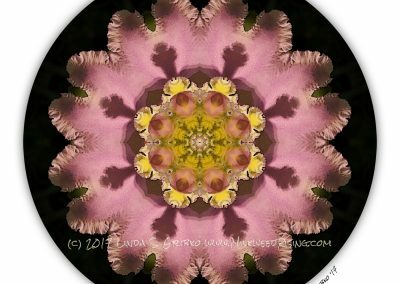 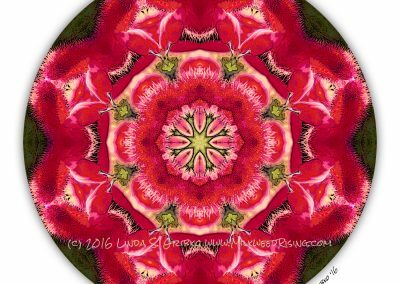 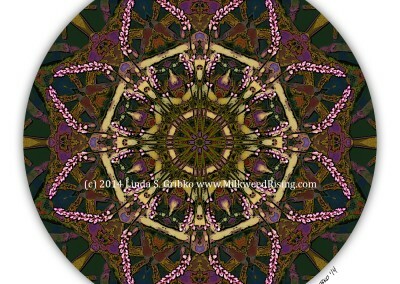 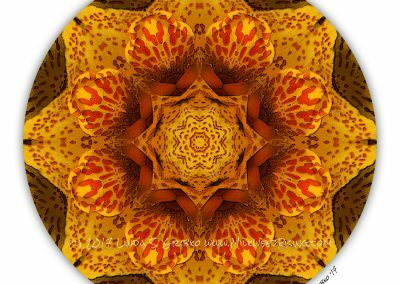 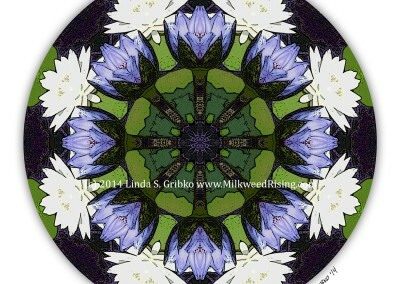 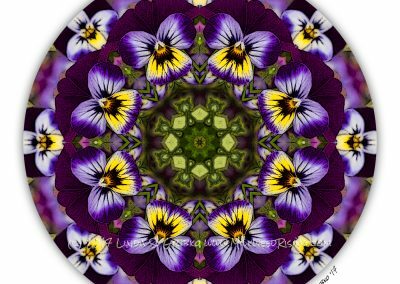 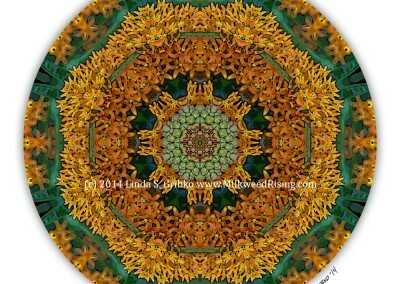 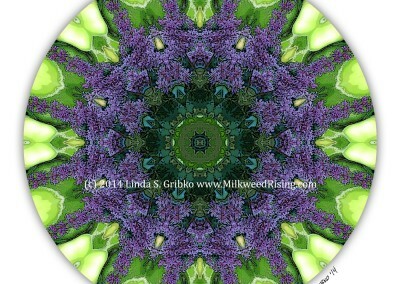 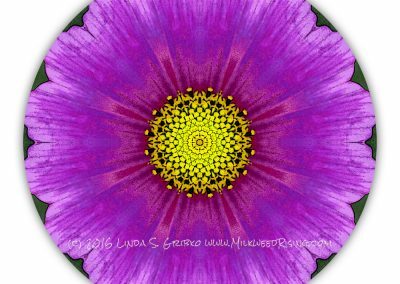 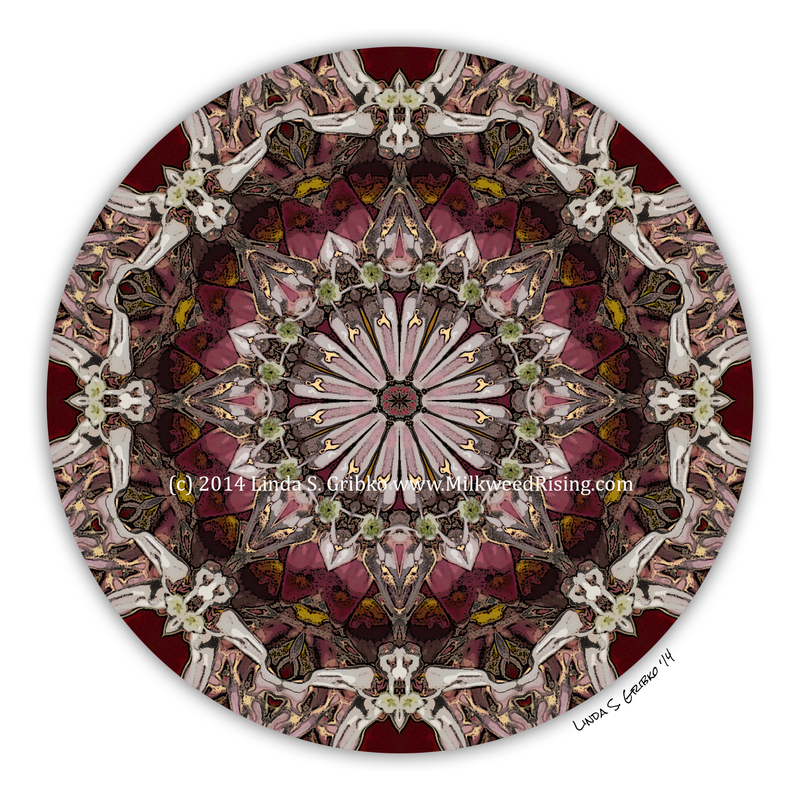 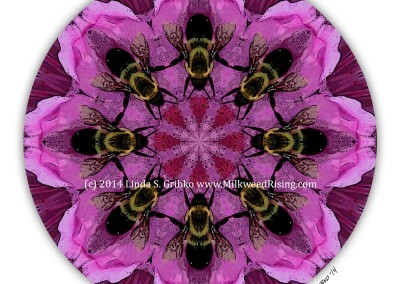 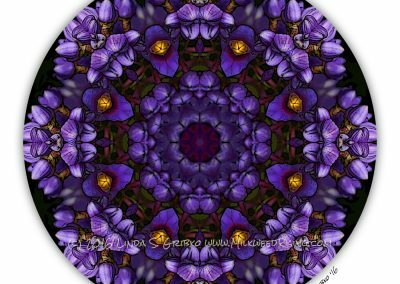 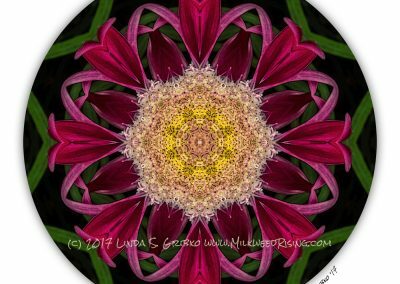 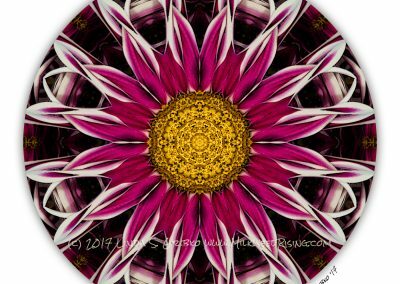 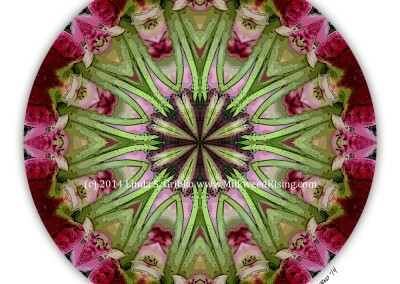 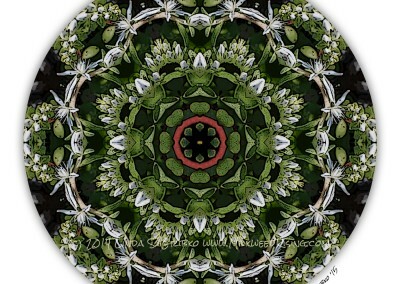 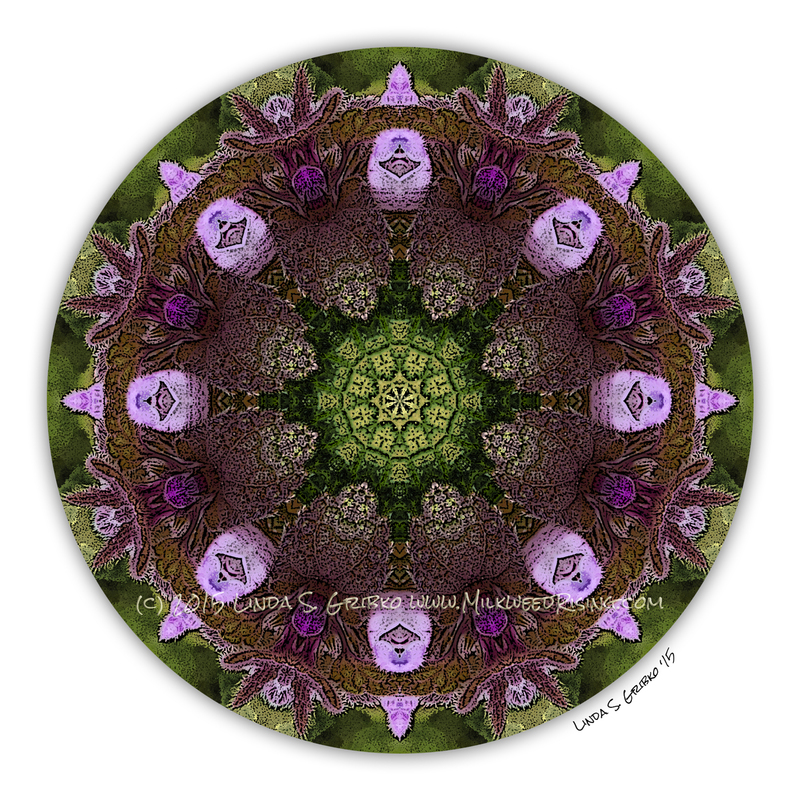 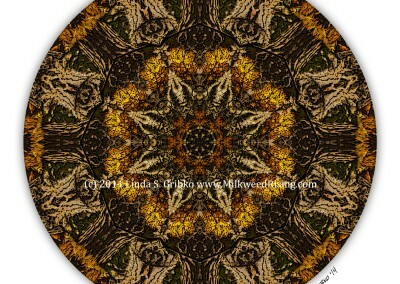 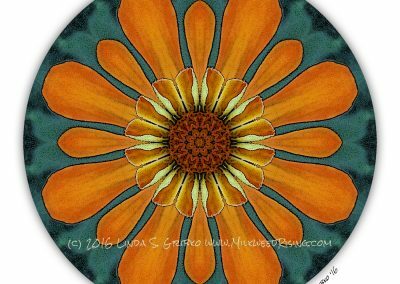 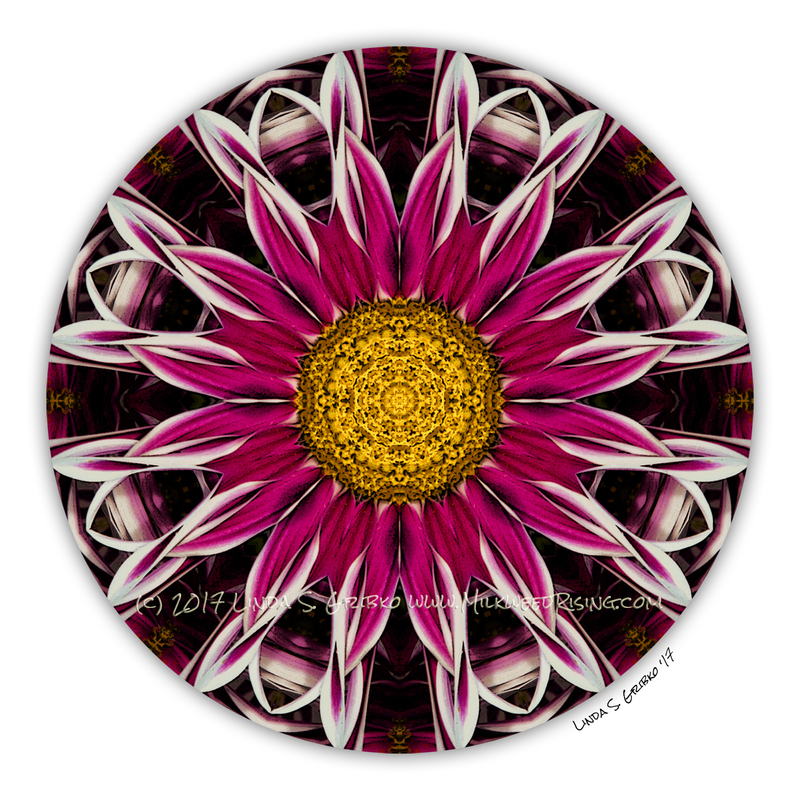 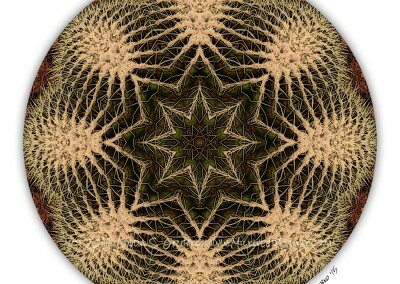 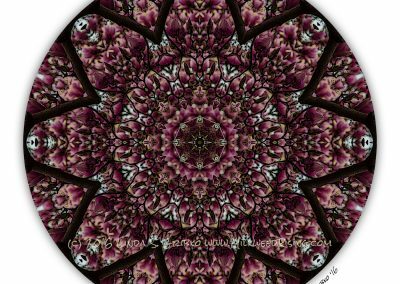 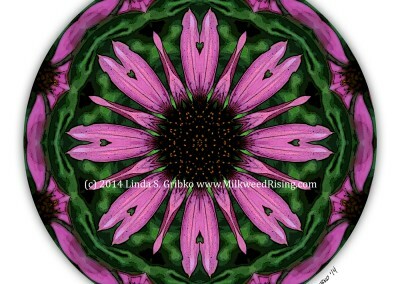 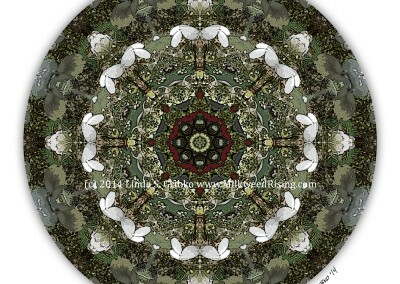 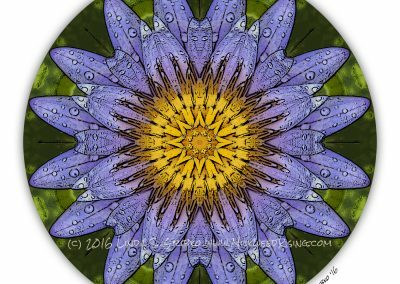 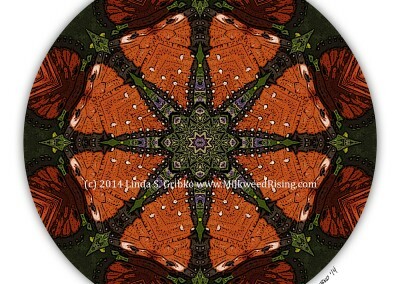 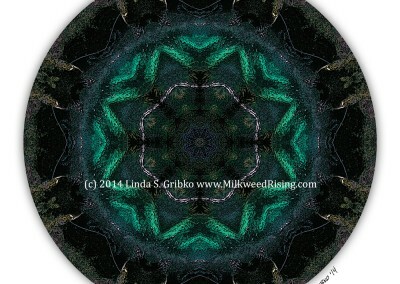 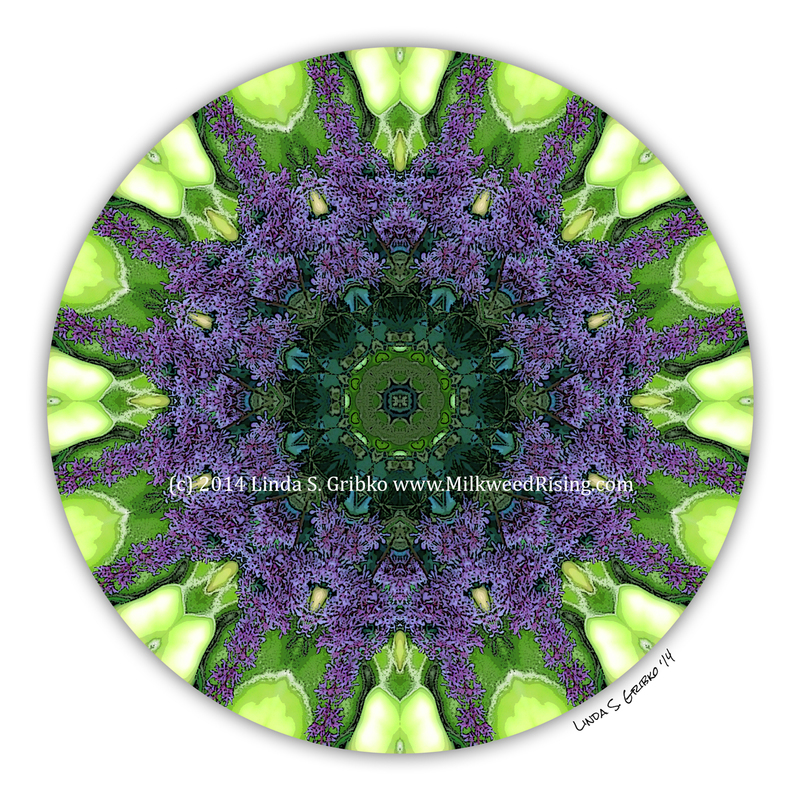 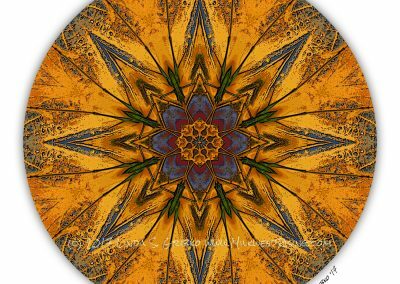 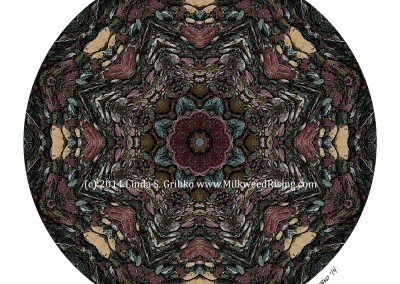 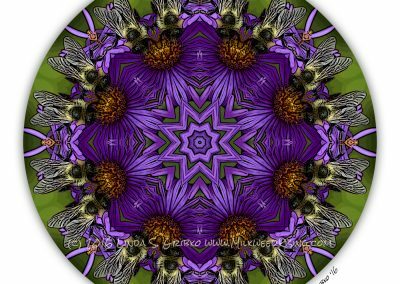 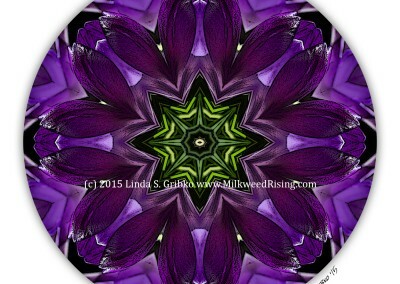 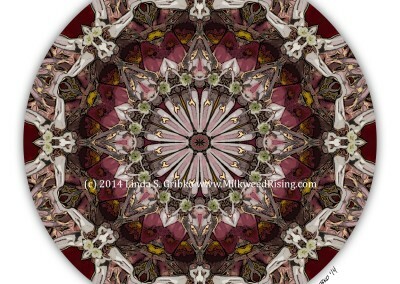 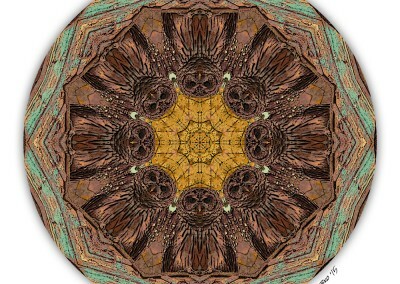 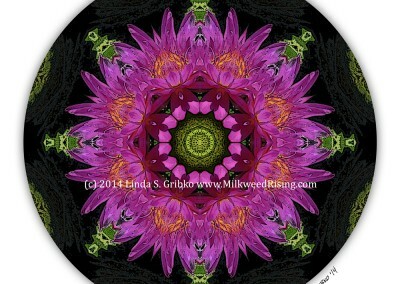 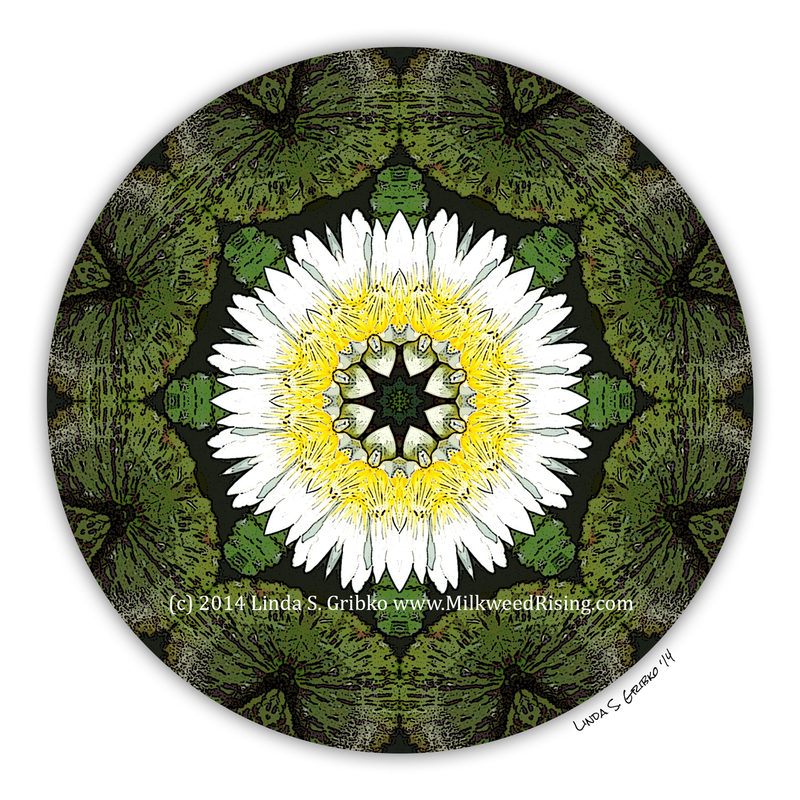 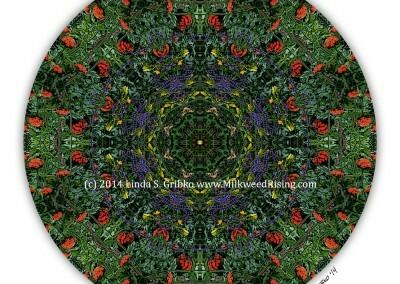 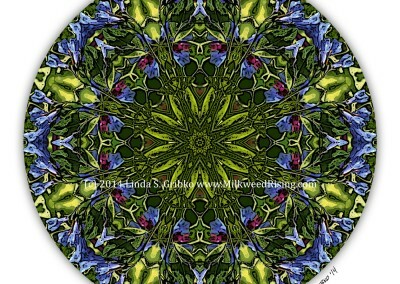 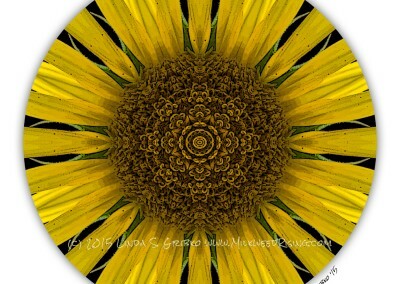 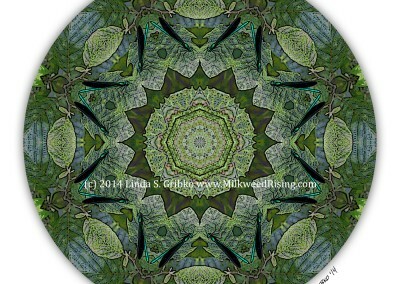 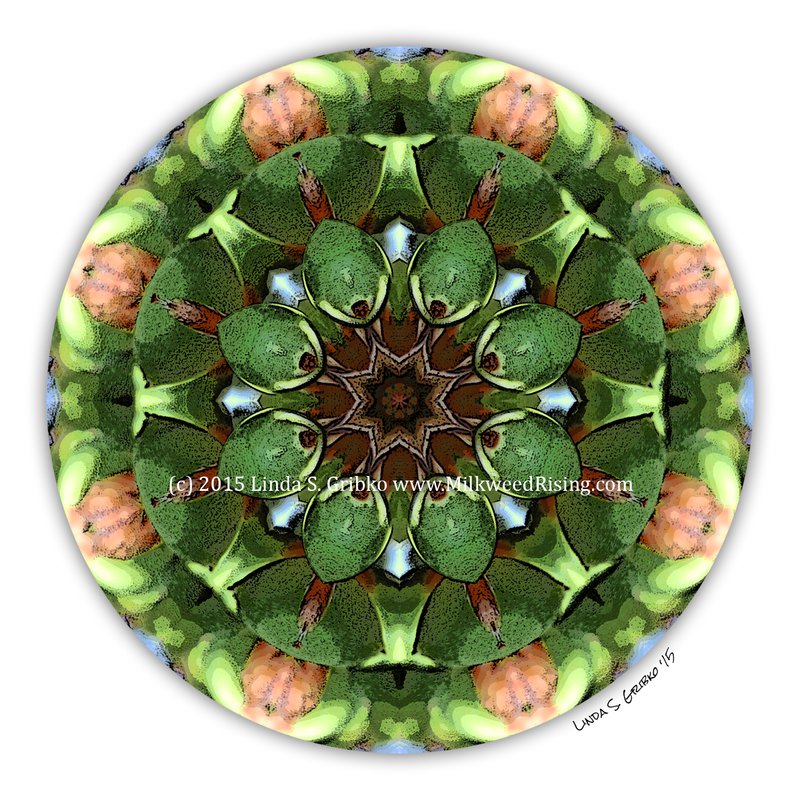 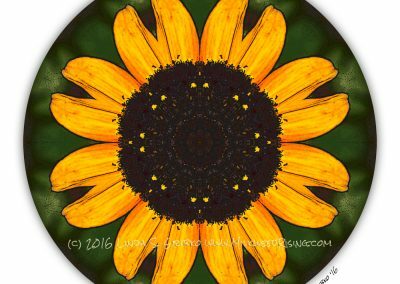 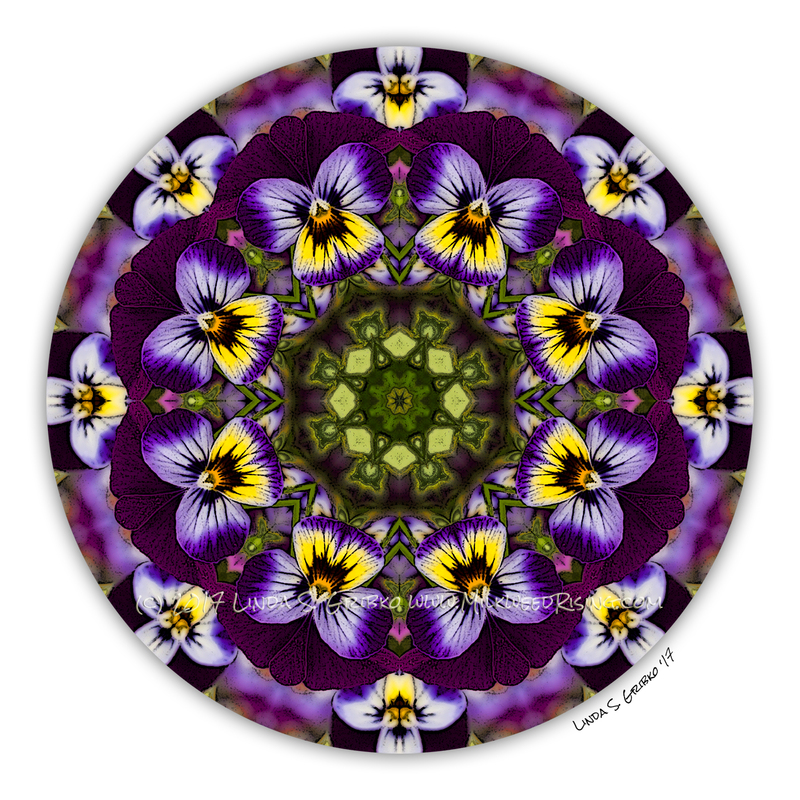 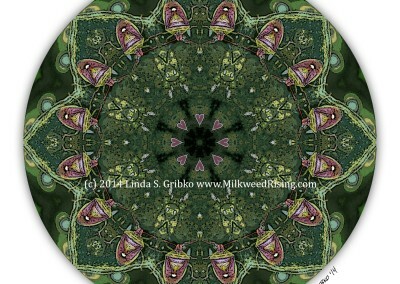 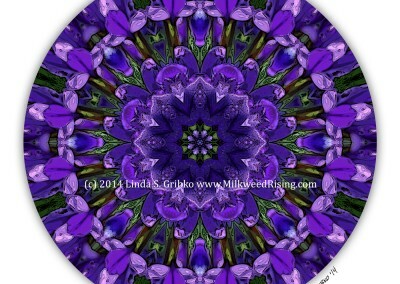 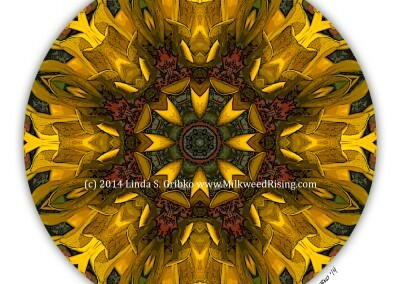 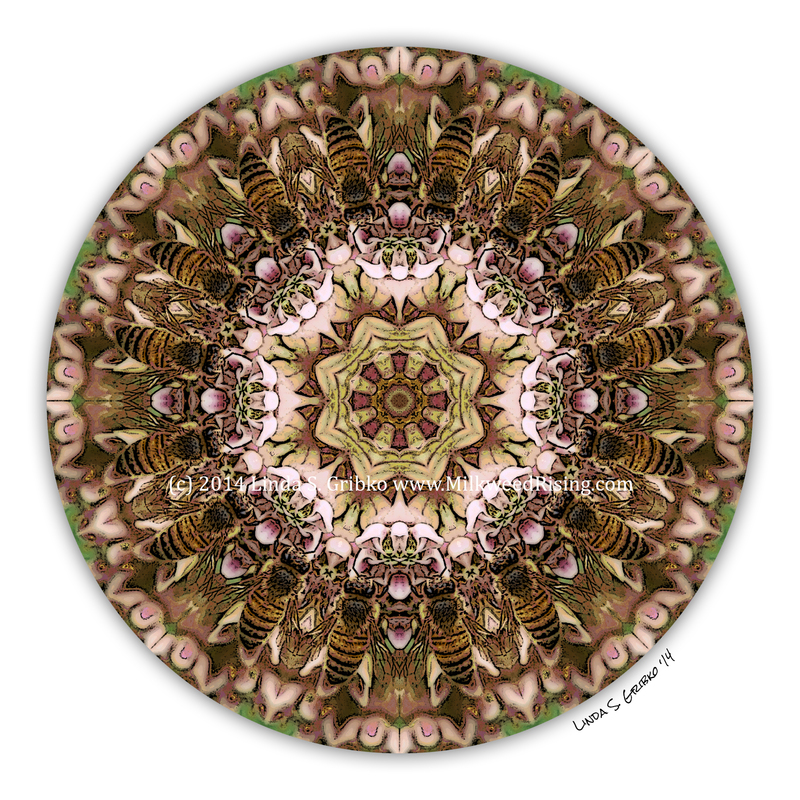 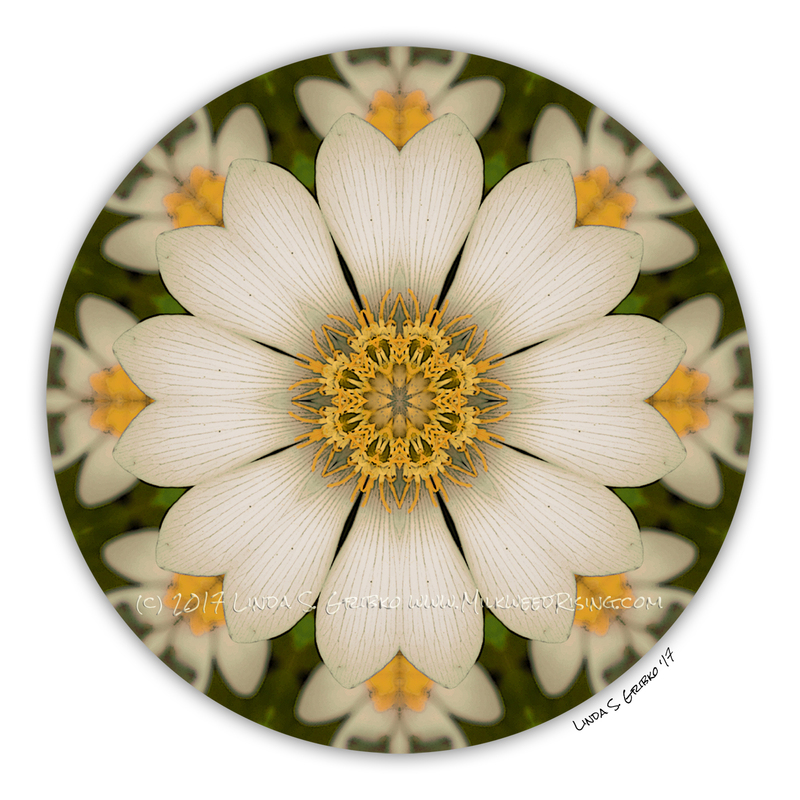 To create my mandalas, I choose a single slice of a photo and then copy, flip, and paste it to fill a circular template. 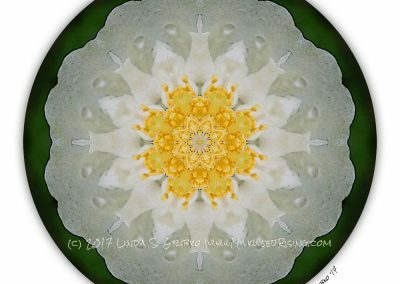 From there, I work with the exposure and contrast and replace colors judiciously to enhance or downplay specific elements of the photo. 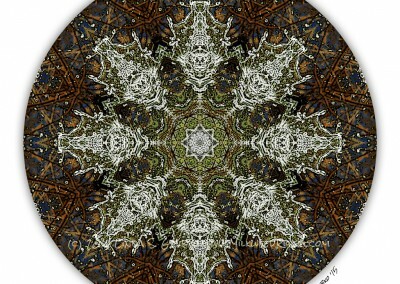 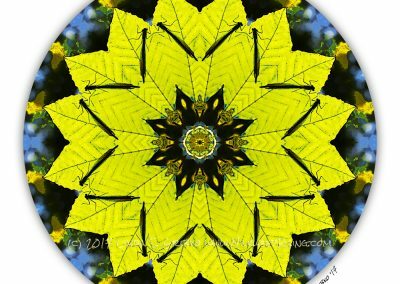 I focus very specifically on the center of each mandala, teasing out patterns and designs that are hidden in the original photo. 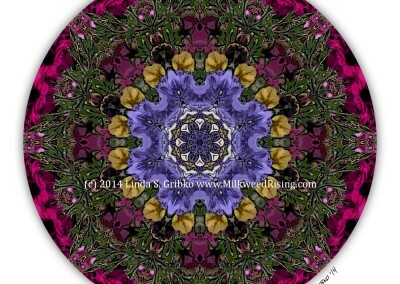 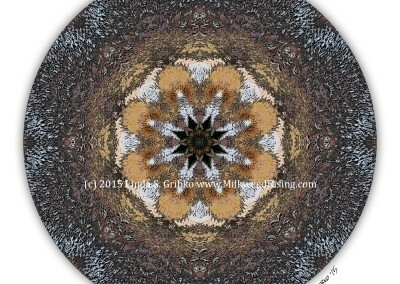 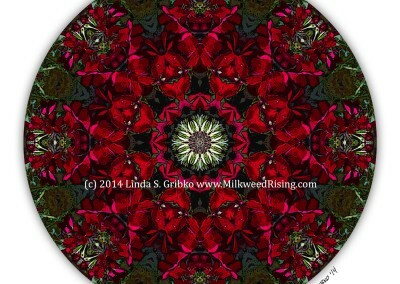 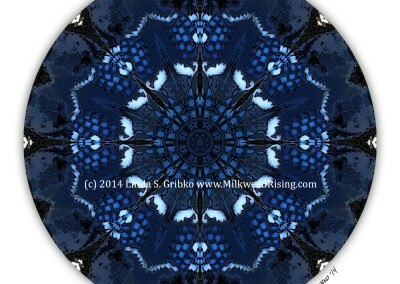 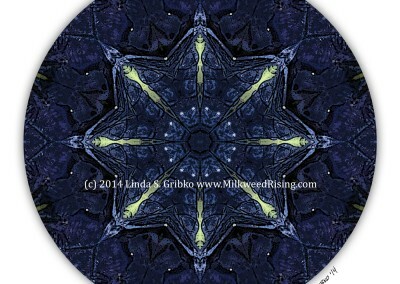 Creation of my mandalas is a mediation practice for me and I hope that others also use these pieces for meditation. 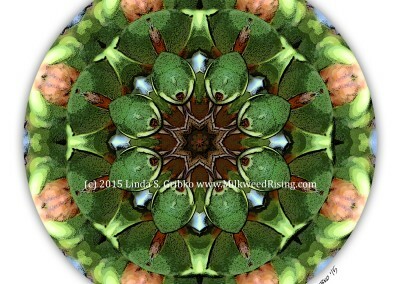 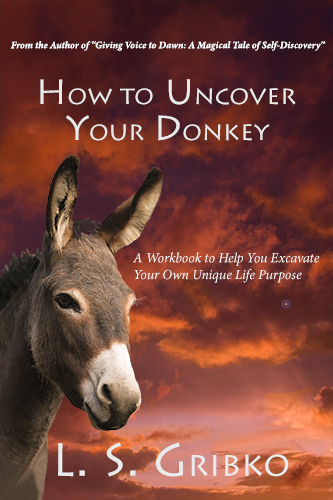 There’s peace, light, and introspection to be found in their depths. 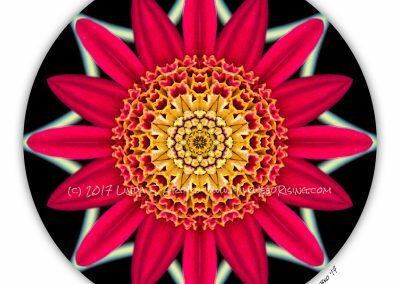 Many of my pieces are available in the online shop as matted prints, framed pieces, and greeting cards that are suitable for framing. 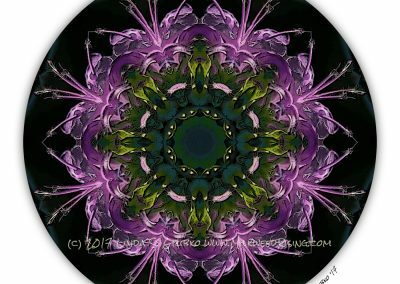 If you see a piece in the gallery that you would like to own that is not offered in the shop, please contact me and I’ll provide you prices and instructions for purchasing custom cards, prints, and framed pieces. 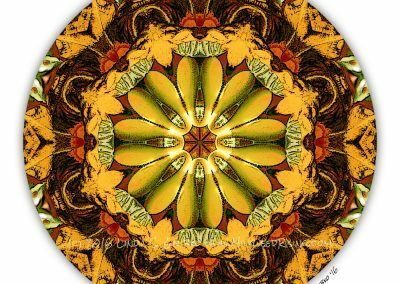 A selection of prints, framed art, greeting cards, calendars and other items can be found in the online shop.